Chris is currently building a wall in our sun room so we can transform an entire corner into a play zone. 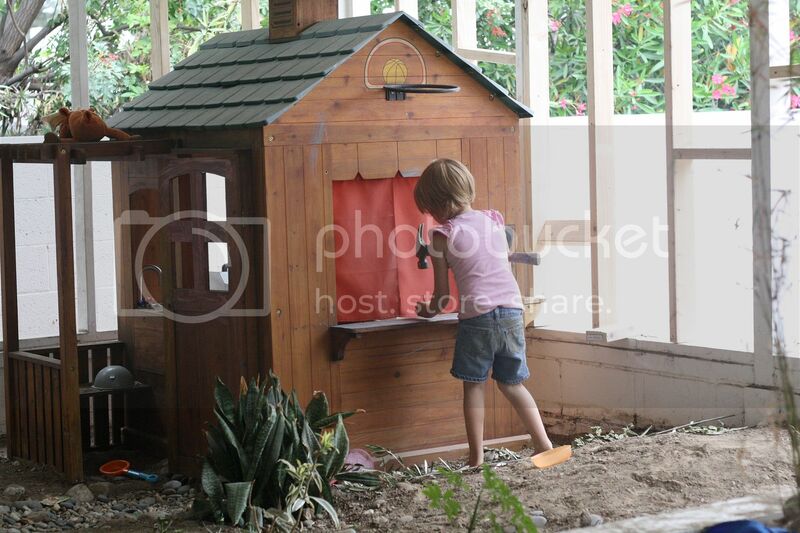 I am just thrilled to get rid of the dumb desert garden that is the WORST sort of indoor sandbox I have ever seen. Regardless of our parental motives for this project, the kids are loving it. The sun room is in constant chaos and instead of sweeping the dirt back into its unruly box every night, we are just letting it go. Embracing the black soles of our feet at the end of the day, washing the dirt away before bed and fully expecting to see more of it tomorrow. We always have some sort of crazy house project in process, in which tools like hammers and measuring tapes are inevitably left alone and forgotten. Our kids often pick them up and play, measuring walls and doors, or hammering invisible nails to the couch, passing the time with their makeshift tool box. This time Scarlett wanted to try the real thing, and after a brief explanation of safety rules, we let her. 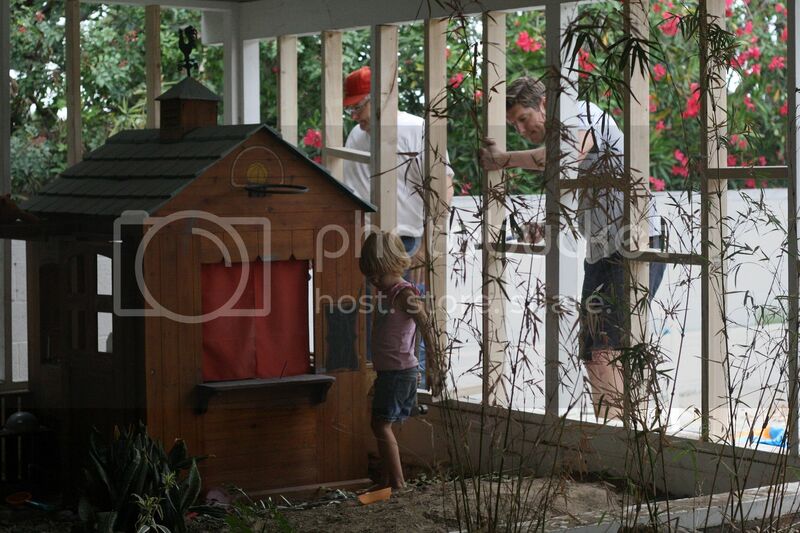 And in all honesty, it was really cute, watching her work on her house as Chris worked on ours. 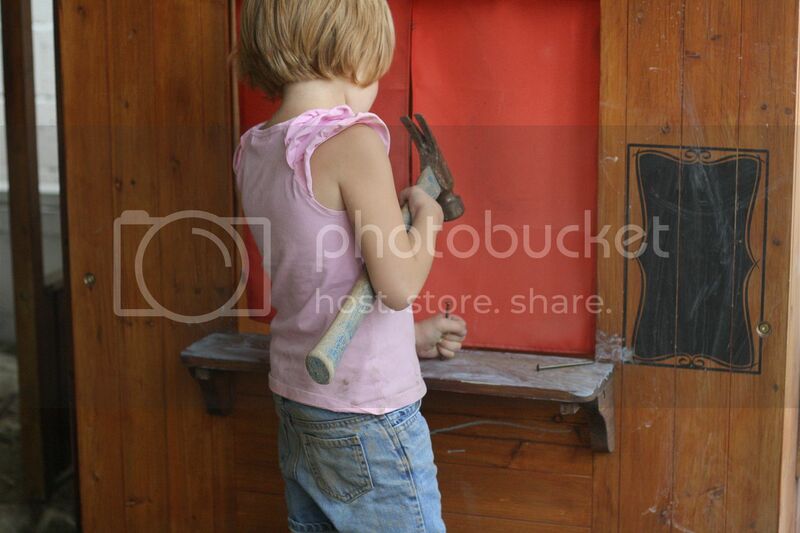 Do you let your kids use tools?